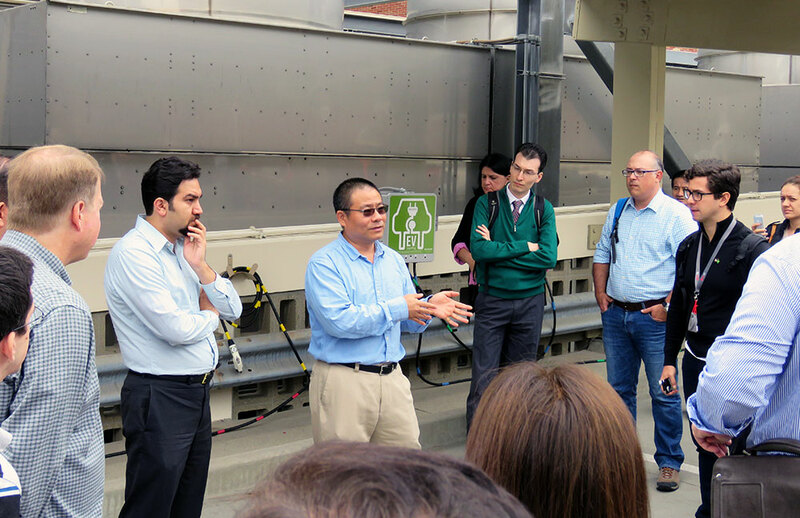 On Monday, September 12, 2016, a delegation of top officials and business leaders from Brazil visited UCLA to learn about the research on renewable energy. Some members in the delegation included , Guilherme Syrkis (Special Advisor to the Minister of Energy), André Pepitone da Nóbrega (Commisioner, ANEEL), Lucas Lucena (Manager, BNDES), Miguel Nery (Director, ABDI), Ana Christina Mascarenhas – Energy Efficiency Director, NEOENERGIA). As a team member of the Sustainable LA Grand Challenge, SMERC researchers met with and gave presentations to the delegation. 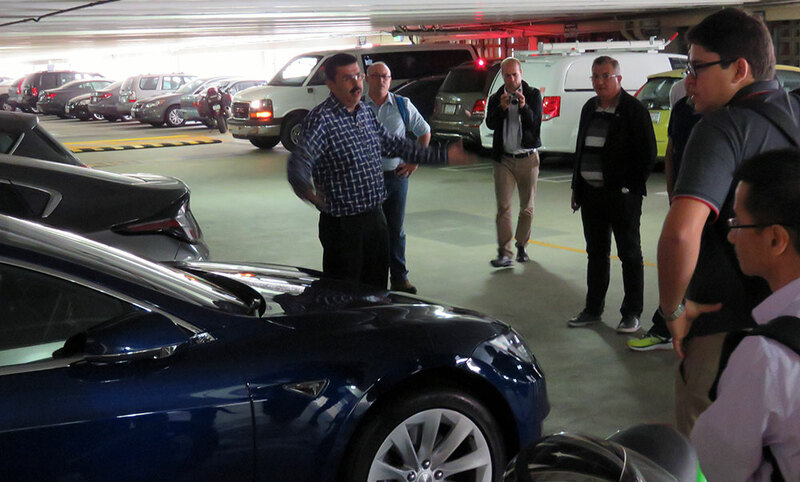 The delegation also toured the SMERC lab gave tour of SMERC's various research living labs in Parking Structure 8 that houses both Level 1 and Level 2 charging stations as well as the newly installed solar panels and Level 2 stations in Parking Structure 9.